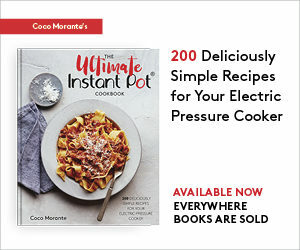 As you may or may not know, I run the Instant Pot Recipes facebook page, where I post links to electric pressure cooker recipes from around the web. Lots of bloggers and YouTubers are making delicious recipes in their Instant Pots, and I love to share them around! The following is a list of my favorite accessories for the Instant Pot. Of course you don’t need accessories beyond what comes with the pot itself, especially if you just plan on cooking soups and stews, but the items below make it easier and more fun to use your electric pressure cooker! 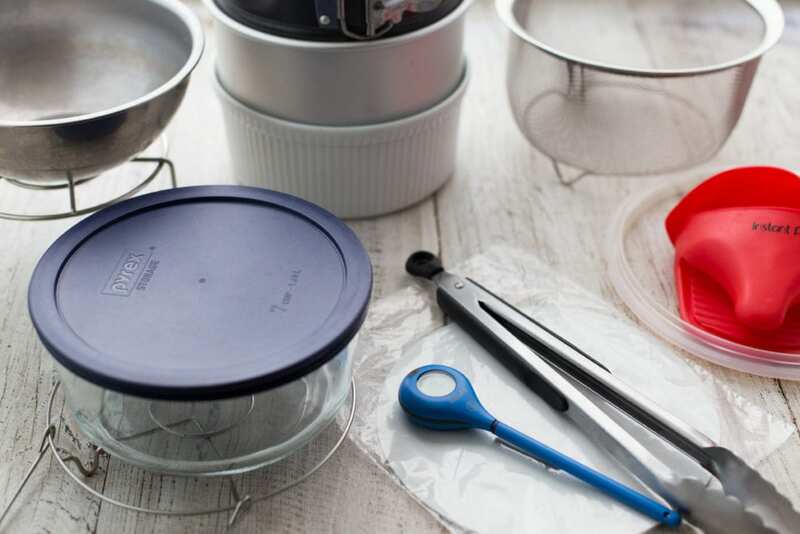 I’ve purchased these exact items myself (except the fancy souffle dish, which was gifted to me by my mother-in-law), and I use them all the time.
. . . and tons of other little tasks. This is the only part of your Instant Pot that will require replacement. 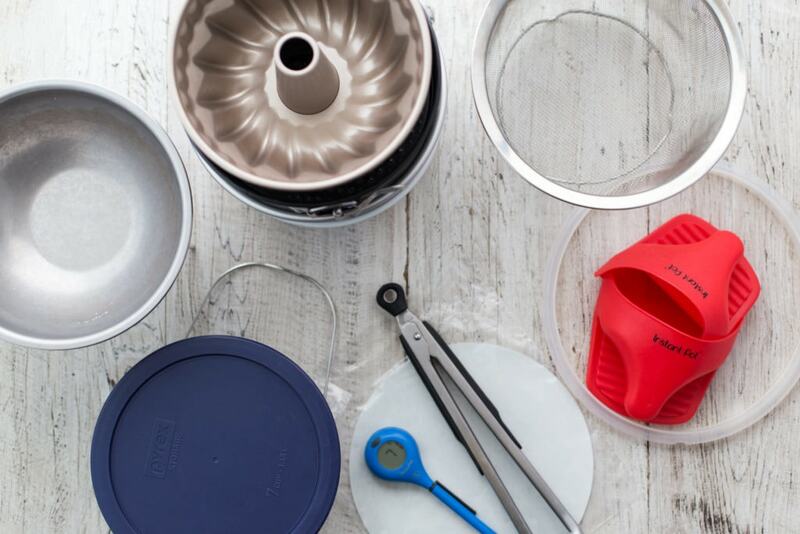 Like any pressure cooker, the IP lid requires a gasket for an air-tight seal to form. It will warp over time — most people have to replace theirs after 8-12 months. You can also buy a non-Instant Pot branded pack of two, which I’ve used. They work great, and I like using one for sweet recipes and one for savory, since they can tend to absorb some cooking odors. I use tongs to move ingredients in and out of the pot, and to flip pieces of meat when searing. This pair by OXO is well-made, sturdy, and locks closed for easy storage in my utensil drawer. Of course, I use my thermometer for lots of kitchen tasks that don’t involve the Instant Pot. When it comes to IP cooking, I use it for testing meat for doneness, insuring that baked goods are cooked through (yes, you can make baked goods in the pressure cooker), and checking that my milk has gotten up to a high enough temperature when I’m pasteurizing it for yogurt. 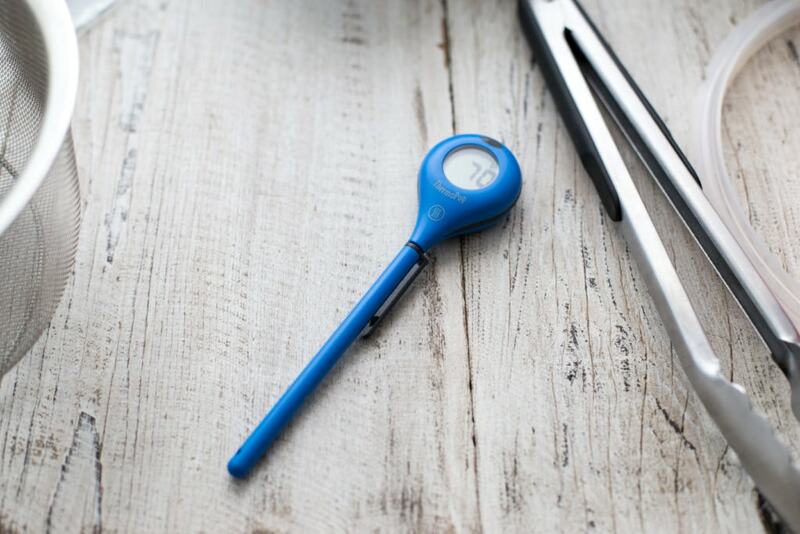 At $29, the ThermoPop is the least expensive instant read thermometer in the Thermoworks line, and it works great. This steamer basket doesn’t fit in the Instant Pot as-is — you’ve got to snap off the metal handles so it’ll sit inside the pot. After this little MacGuyver move, it’s perfect. I use mine to “hard boil” eggs and cook vegetables on the Steam setting. 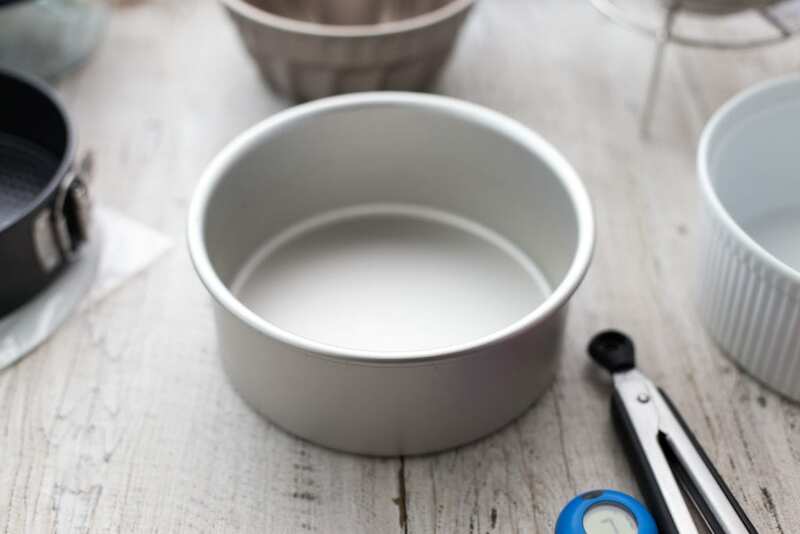 This cute little cake pan fits perfectly in the Instant Pot (both the 6 and 8-quart models)! 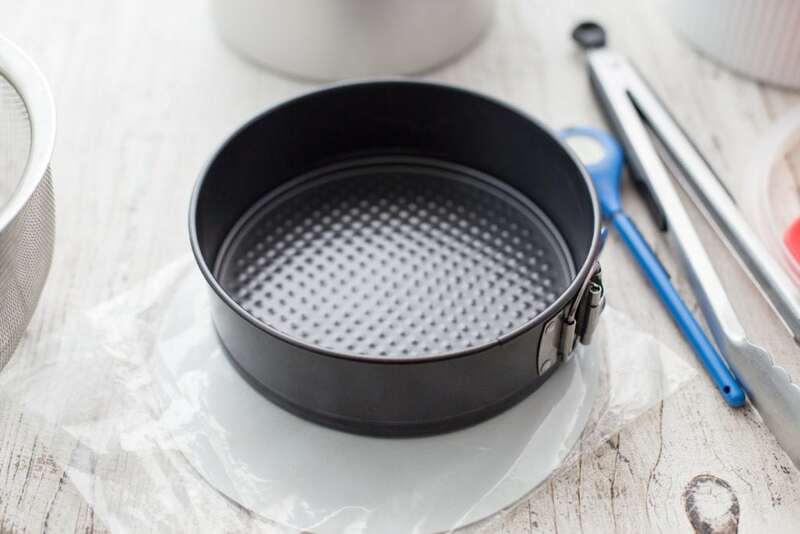 You can use it for any pressure cooker cake recipes that require a 7-inch cake pan. Just lower the cooking time by about 5 minutes, since cakes cook more quickly in a Bundt or other ring-shaped pan. Souffle dishes make for a pretty presentation for omelets, quiches, bread puddings, and casseroles steamed in the Instant Pot. Unlike other baking pans, they look nice as serving dishes, too. I got mine as a gift and it was pretty pricey as baking dishes go (about $32 at Williams Sonoma), but there is a much less expensive BIA Cordon Bleu version on Amazon as well. The best dish for making yogurt in the Instant Pot. You can easily pasteurize and culture a full quart of milk, then transfer it directly to the fridge with zero clean-up of the inner pot. If you haven’t yet made a cheesecake in your IP, you’ve got to try it! A 7-inch pan fits snugly in the pot. I use 8-inch Parchment Paper Rounds when I’m cooking a cheesecake in my springform pan. You can lock one right into the base, then use the little extra border for to nudge the cake right off of the base of the pan. I mainly use my cake pan for two things: meatloaf and banana bread. It’s just the right size to fit in the pot, and the extra-tall sides give it more capacity than a regular cake pan. For the ultimate one-pot dinners, I like to cook a chicken dish in the bottom of the pot, put a raised steam rack on top, and place a bowl of rice or quinoa on top of the rack. The grains steam perfectly while the chicken cooks underneath, and everything stays warm together until I’m ready to serve. You may have noticed that rice cooks most evenly in the Instant Pot when you make a large batch (1 1/2 cups or more). This is because the pot is curved up in the middle, so smaller amounts of grains won’t be fully submerged during the cooking process. My solution is to cook smaller batches of rice in a bowl inside the pot. This way, I can make a cup or less and it still cooks perfectly. 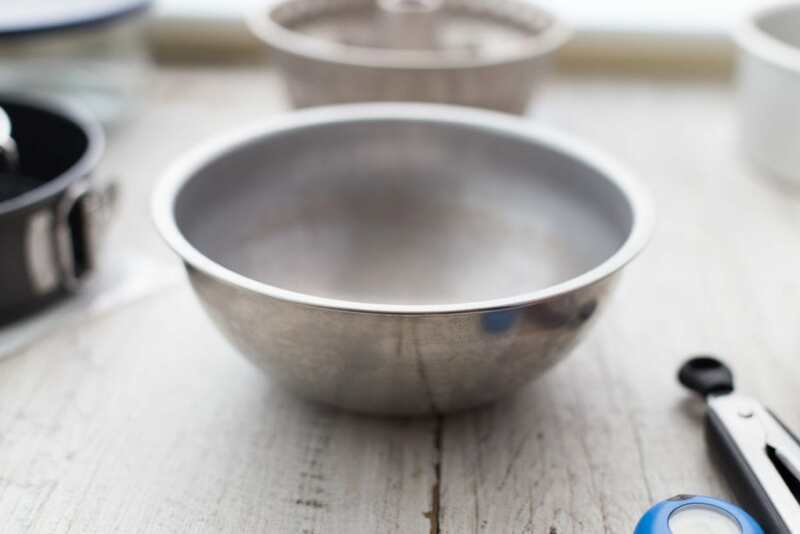 This is the bowl I use for my one-pot rice and chicken meals, and also for cooking small batches of lentils for lentil salad. Affiliate link disclosure: Most of the links above are Amazon affiliate links, so if you end up clicking through and ordering, I’ll make a small sales commission on your purchase. Thank you for supporting Lefty Spoon! I’m saving all my pennies for a spare liner. Yogurt making ties one up too long and I’m not about to stop that! Love using the steamer basket for prefect hard boiled eggs! I have a cheesecake pan, but haven’t braved that yet. I bought silicon cups to soft boil eggs. I already bought 2 replacement seals for the future. I expect to have to replace them at some point. 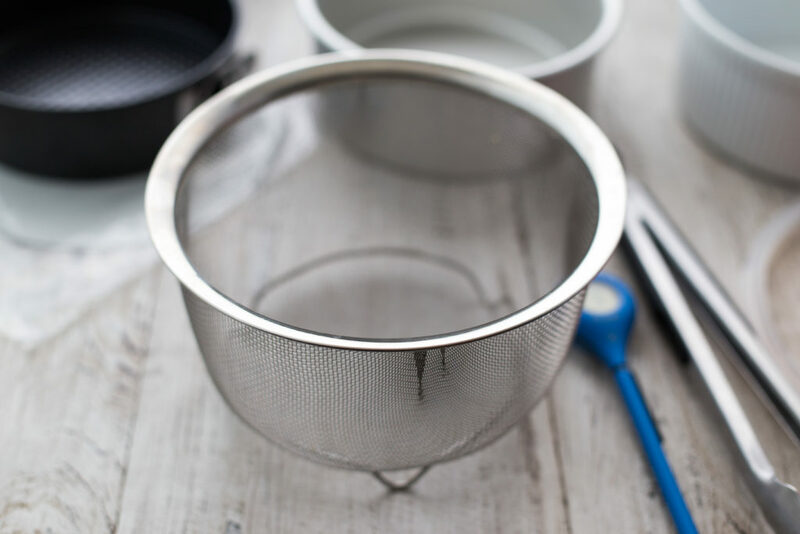 The strainer is perfect for doing hard boiled eggs. I don’t have a favorite accessory, but I think the mitts would become mine. I think my next purchase for my INSTANT POT will be the raised rack. Please enter me in contest for pot mitts. Love my Instant Pot! I have zero accessories but I’m hoping to buy the raised steam rack and cake pan. My favorite things to make are braised beef short ribs in a wine sauce, mushroom smothered pork chops and cilantro lime chicken and rice. The Instant Pot has changed my life! I want the raised steak rack! I’ve always cooked my rice separately on the stove!! Love mini cheesecake pans (thank you for the tip) so I can make three at a time by balancing a third mini pan on the others. But, duh, now I need a raised rack for multiple items that aren’t in stackable pans! Thank you, you’re the best! The raised steam rack would be useful and the finger mitts for sure!! You don’t have a glass lid! I purchased one from Amazon. Love all the ideas. Thanks! 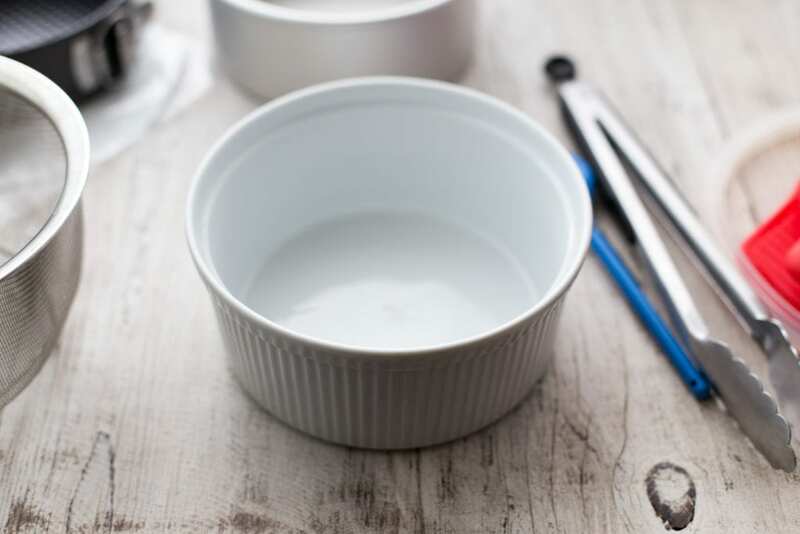 A second inner pot would be a godsend, that way you’ve always got a clean one ready to use. I don’t have any accessories but I need to get a steam rack. Use my steamer basket the most….. eggs, potatoes, asparagus, beets….. I need an instant read thermometer and I love the looks of that steamer bowl. I’m new to the instant pot. Loving it so far but need to get a bit more adventurous!! I like your steamer basket idea and the mini silicone mits. Thank you SO much for your suggestions! I’m a VERY new member of the IP family & still sorta nervous cooking certain items. I have decided that I need to invest in quite a few accessories to make things a little easier. You’re the winner of the giveaway! Please email your shipping address to me at coco@leftyspoon.com. and I will mail a set of mini mitts your way. 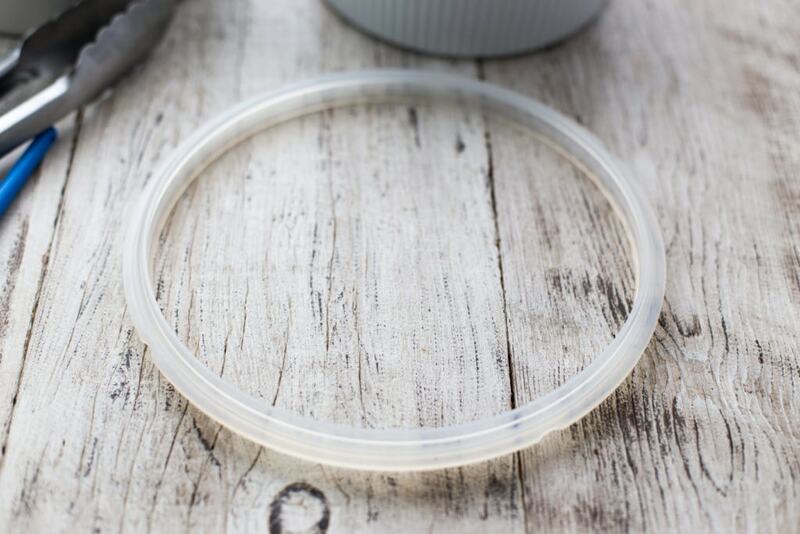 A glass lid and extra silicone rings are on my wish list. Steamer basket. Use it all the time. 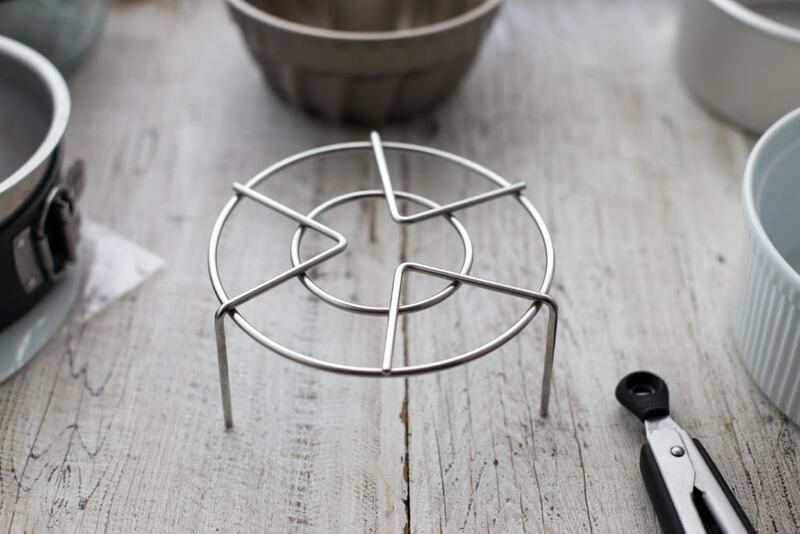 I have the tongs and the Pyrex dish…I think the mitts and mesh basket will be next on my list. Thanks for the great info! I’m brand new to IP cooking. It’s good to know about all these suggestions. I think first on my list is the raised rack. I only have 2 accessories so far and use them both all the time, the tongs and the thermometer. I rely on both of them for so many recipes. Thanks for all you do!!! I don’t have any yet but the springform pan is on my list. I love the springform pan for making cheesecakes! They’re the perfect size for just us two!! Steam basket!!! I don’t have anything. 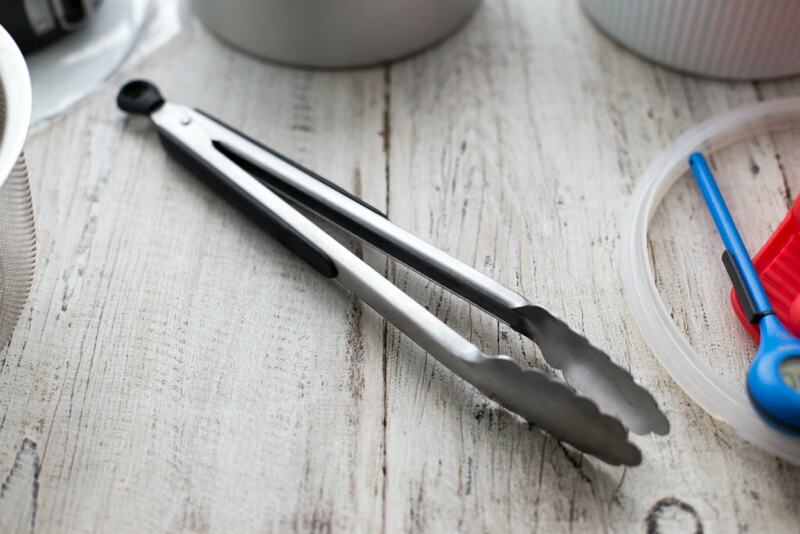 It the tongs! I’m trying my Instant Pot for the first time right now! So excited! I for sure need those little mitts. I want to get an extra ring but that would be so that I can make desserts without the savory taste from a previous meal but that would require a cake and/or springform pan but a steamer would also be handy along with tongs and the silicone gloves to protect my hands when things were hot but then I’d need a thermometer to know how hot it really was. . . I just started using my instant pot a month ago but I already love using my silicone trivet to steam veggies! I’m drooling over all of the fun accessories and possibilities of the machine!! I gotta collect’em all! Ha! I’m tired of burning my fingers pulling out hard boiled eggs! Time for some silicone. You can even make cheesecake in this incredible device?! I think I’m in love. Totally getting a springpan! 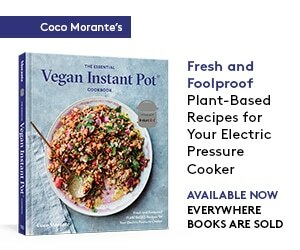 Thanks for having this page ❤️ I’m a Instant Pot noob – need to learn al l the tricks and tips! Ooohhhh I want a steamer basket! I’m a total nubie and see many of these in my future! Thank you! Now it is more clear! ( You respond in Messanger was quick tough.) The raising rack and bowl for smaller portion of rice the first things on my list! 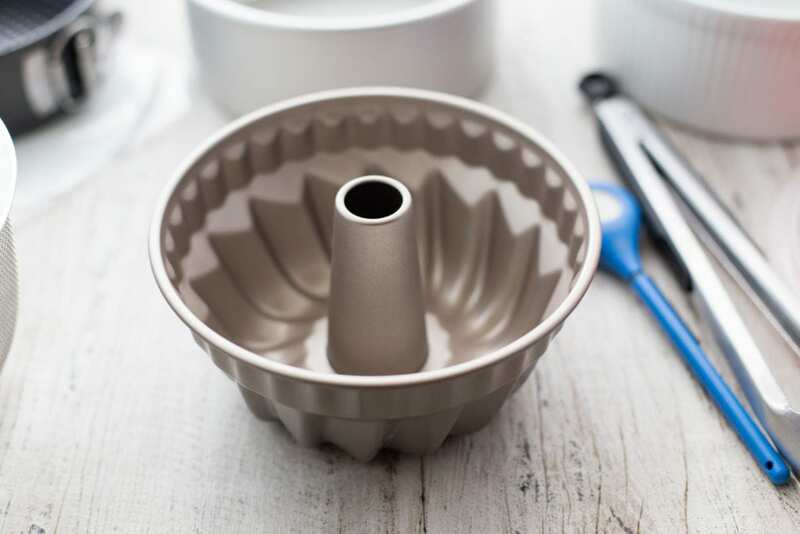 I like the Bundt pan idea! Got my IP for Christmas, but don’t have any of the fun accessories. I’d really like the spring form pan though. New to this way of cooking, so far I love it. I have no accessories, but I think the raised rack would be a good item to have. I don’t have any accessories yet! These are amazing suggestions! I never thought about a steamer basket but I would probably use that a lot. My T-Fal Steamer Basket is my favorite so far. I’m getting the Instant Pot Glass Lid and Nordic Ware 7″ Springform pan from Amazon tomorrow…. I want the Mitts and the 7×3 pan. New to your FB page & am LOVING it! Am definitely interested in steamer basket and raised rack! Love my Instant Pot! 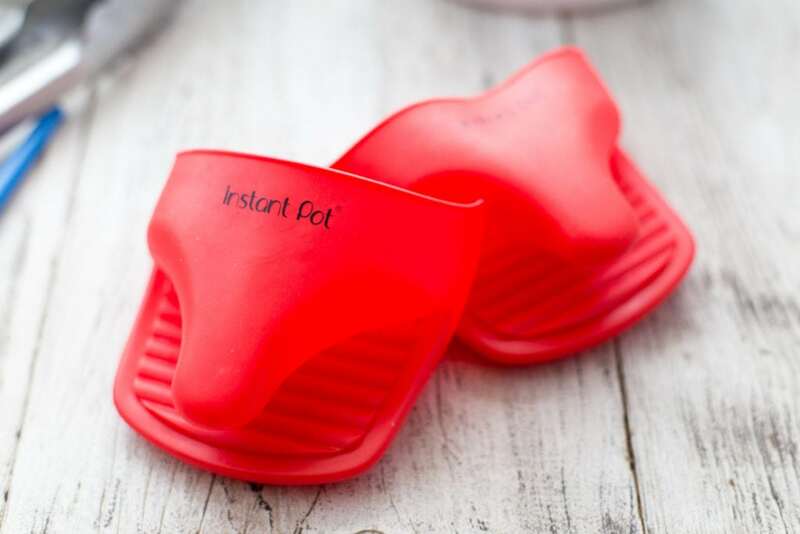 Would love to win those mini mitts–love my Instant Pot, but burn my fingers getting eggs out! It is a wonderful, useful machine!! I just bought my IP a few days ago so I don’t have any favorite accessories except I just order a glass lid and a steamer basket last night! I’ll get them tomorrow and I’m pretty excited! The raised steam rack would be so useful! In the past, I have just placed my rice pan directly on top of the chicken. Something not mentioned in this article, is an additional lid for the Instapot, when it is not being used under pressure. I have a silicone lid I use when making yogurt, or when I want to refrigerate the contents of the stainless steel insert. And a sling to take out the cheesecake or bundt pans! I’ve used the foil method, but would love something better. 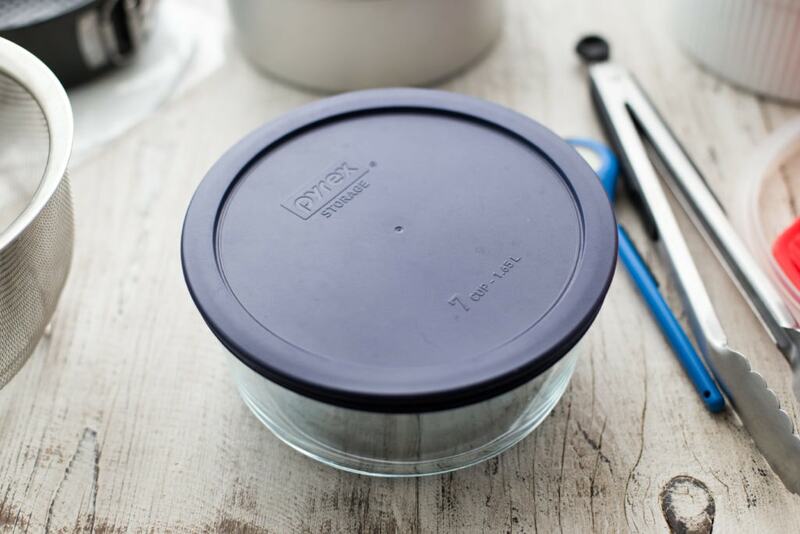 The glass lid for slow cooking! This thing is amazing! I finally retired my 3.5 quart pressure cooker for a 6 qt. Instant Pot and love it! I use my steamer basket all the time. The mitts are next on my wishlist. The springform pan for cheesecake is awesome. But I need the steamer basket. No accessories yet but I’ll be needing some silicone rings. I’m thinking a bundt pan is in my future too! I was going to say the little silicon mitts was my favorite, but I can’t resist the little bundt pan. It’s an excuse to get another bunts pan, though really I don’t need an excuse. I am so new with my Insta Pot that I do not have any favorite accessory yet. So, any new accessory at this time would b e great and I can see how these silicone glove would be really useful. I want them all! But the mitts and the steamer basket have really caught my eye. I’ve just started using the IP and can’t wait to try more recipes. I JUST got an Instant Pot, but I already think I need a second liner. I need to buy the steamer basket, that would make steaming veggies and eggs easier. Thanks for the giveaway and showing me that I already have of your few recommended items. I think my favorite accessory I have is my steamer basket, different from yours, but very handy. I especially like it for putting potatoes and carrots in on top of my pot roast for the last ten minutes so they taste nice and fresh and separate form the roast itself. I would LOVE to win these mitts! I like my steamer basket best — it is about the only accessory I really have so far. I’m working on getting more stuff cause I love my Instant Pot! I’m a newbie looking to learn how to use my still in the box IP!! Thanks for all the great ideas. We’re still kind of newbs at IP cooking, so any of these sound like great additions. I’m definitely looking into the mini mitts, though!! I love my Instant Pot. I am obsessive about finding recipes so I can use it again. I even make my dogs food in the instant pot. Love to see the many things that can be purchased to go with it and I will most likely have every one of them soon. Just got my instant pot I have never used a pressure cooker before. I used it the other night and now I want to pressure cooker everything. Lol I will be on the lookout for the mits and a lid that will fit on my inner pot. I love love love this Instant Pot.